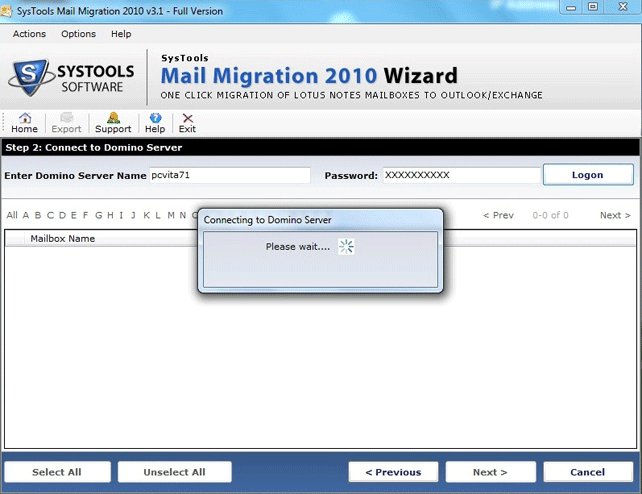 To provide maximum reliability at the time of conversion we have been providing you screen shots of conversion software, follow these steps to convert Lotus Domino to Exchange Server successfully. In the very first beginning of all checks for all requirements of software to run on the machine. 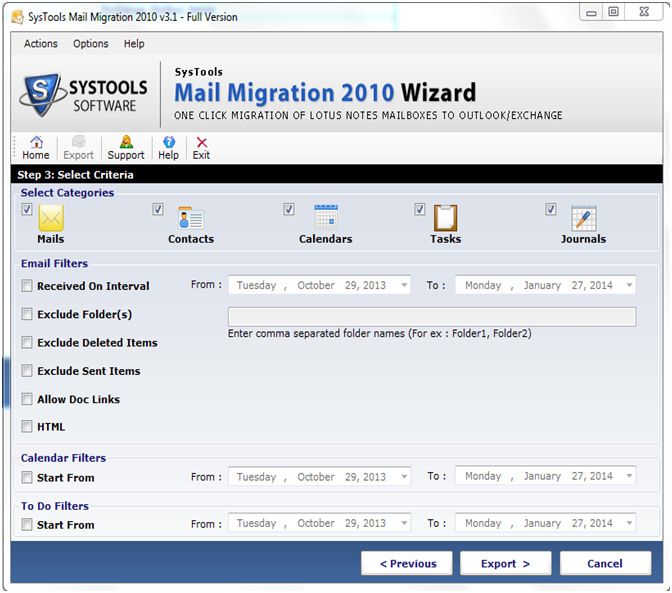 Now choose the suitable migration option from the list like in display windows admin select the Domino Server mailbox to Exchange Server mailbox radio button. 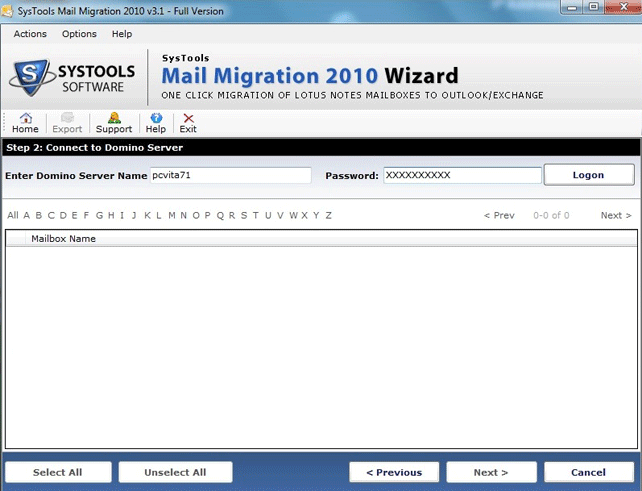 After selection, now windows will pop up to fill all the credentials of Domino Server like a username and password in terms to prove authentic Domino mailbox to Exchange migration and then click on the Logon button. The next window will show the Connection process to the Domino Server may be this process will take some time. 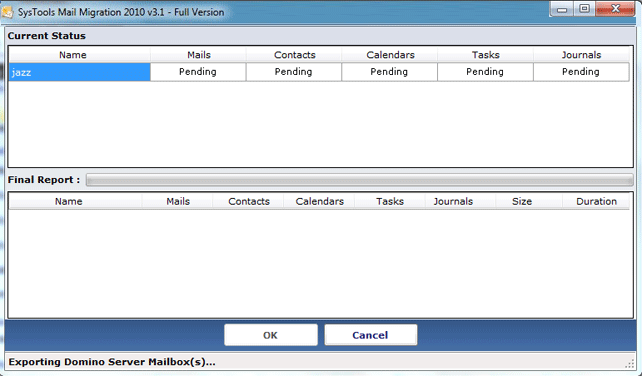 After getting connected to the server window will show the Available mailboxes, choose desired one by clicking on the radio button corresponding to them or select all by choosing the given button. 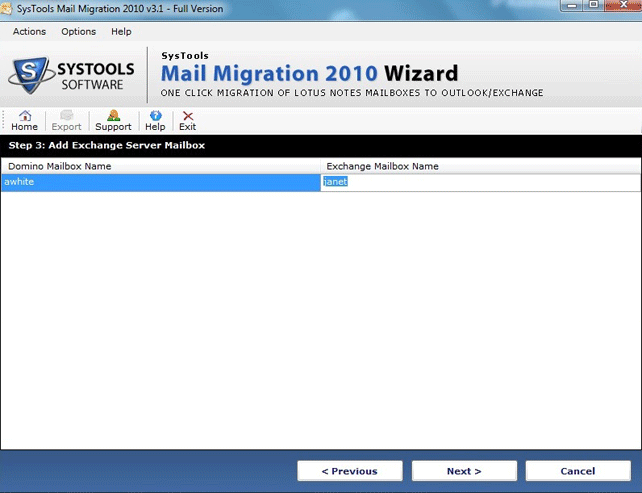 To migrate Domino mailbox to an Exchange server window will show you the chosen mailbox and to precede further click on Next button. Now select the categories which you want to convert from Lotus Domino to Exchange Server. The user can apply filters in order to exclude unwanted data and folder. Filters can be applied on three categories Email, Calendar and To-do. 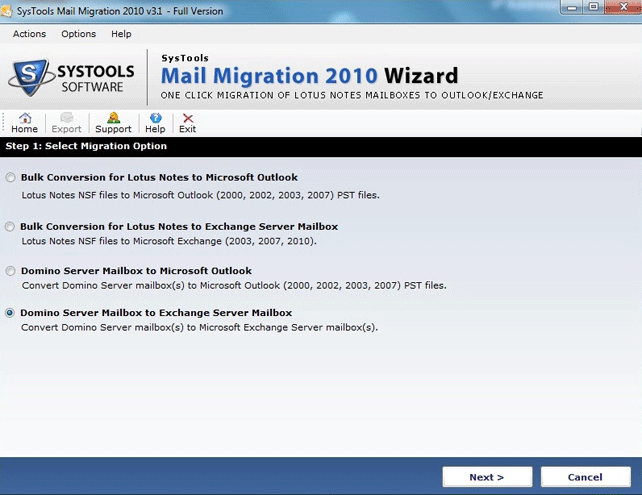 A dialog box will pop up which shows you the Status Report of each Lotus Notes resource like Emails, Contact, Calendar, Task and other customize folder simultaneously. At the end of the conversion software will shows the Completion message, click on Ok button to exit from the tool.